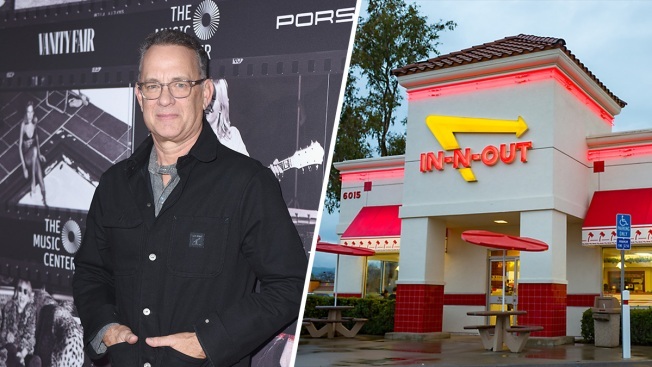 Tom Hanks surprised customers at an In-N-Out Burger in Fontana, California Friday and then bought lunch for several customers waiting in the drive-thru. "Tom signed In-N-Out hats and took pictures with everyone," she told E! News.